SHANGHAI — In a boutique eyewear shop somewhere in the city center, a customer faces sunglasses that come in a kaleidoscope of colors. She can choose from Japanese, Korean, French, and Italian makers, with prices of up to 3,000 yuan ($440). When her hands hover over a pair from Beijing brand Mantra, shop owner Hou Jia is quick to inform her of the brand’s charitable “buy one, give one” policy. But the customer doesn’t seem interested, and instead settles on an expensive pair that’s recently been promoted by a number of fashion models. Had she sprung for a Mantra pair, the company would have donated prescription glasses to a child in China’s hinterland. 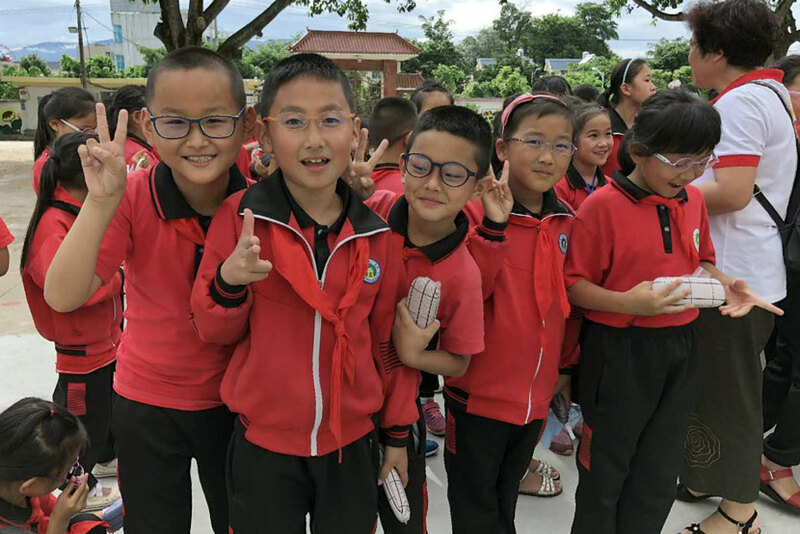 As the business side of Education in Sight, an NGO that supports students in southwestern China’s Yunnan province, Mantra is one of a small but growing crop of Chinese social enterprises — organizations that reinvest their profits into social causes. As a term first coined in the U.K. in the 1980s, “social enterprise” only entered the Chinese lexicon in 2006 when the translation of the “bible” for social entrepreneurship “How to Change the World” hit the bookshelves. The first such organization was set up in the Tibet Autonomous Region in the same year, and the sector grew across the country. There are no accurate numbers for how many similar organizations there are currently, but estimates put the sector’s size at several hundred enterprises. Unfortunately, many struggle to navigate China’s red tape and to get customers to buy into their mission. Education in Sight was launched in 2012 by Andrew Shirman, and Sam Waldo joined shortly after. In March 2014, they quit their jobs to work at the NGO full time, and soon afterward, a concert company pledged to financially support the NGO. It was great news for Shirman and Waldo, but there was one catch: The company wanted to support the NGO on an exclusive basis. With a few thousand dollars of upfront payment, Shirman and Waldo embarked on several projects that the concert company had approved and promised to financially support. But after six anxious months and a spate of “next week, next week” responses, they were told that the agreed $50,000 would never be delivered. “It put us into crisis mode,” Shirman says. He remembers how they had to desperately reach out to families and friends to fill the gap in funds. They decided that they needed a stabler source of income, and the solution they came up with was Mantra. Their trendy sunglasses can be found on major e-commerce sites, in physical stores in 17 cities, and can be shipped worldwide. Having been inspired by American footwear brand TOMS’ “buy one, give one” business model, each pair sold means one pair donated through Education in Sight. For Shirman, it was not until later that he saw the exclusive partnership with the concert company as “a real red flag.” He realized it meant they were solely dependent on not just a single source of funding — a common threat to NGOs’ survival — but a single donor. “We don’t want this to happen again, and in order to do that, we need to find a path toward our own financial sustainability,” he says. Education in Sight is not the only NGO to turn to business to pay its bills. 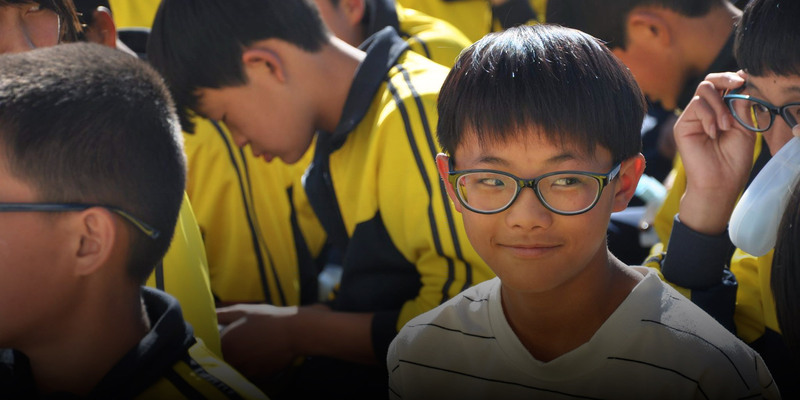 Huiling, founded in 1990, has become China’s biggest charitable organization for adults with disabilities and operates over 40 community centers in 21 provinces. “We want to use profits [from businesses] for our social service,” Huiling’s vice president Zhang Wujuan tells Sixth Tone. Since Huiling first tested the waters by opening a fruit farm in 2008, a host of other social enterprises under its regional offices have sprouted across the country. This includes two bakeries, a car wash, a grocery shop, and a tea house, all of which train and employ people with disabilities — whom they call “students” — on an equal pay policy. Seven students are employed at the two Huiling bakeries in southern China’s Guangzhou to do prep work. “It is a really good fit for them,” Zhang says, adding that children with autism, for example, are great at measuring ingredients due to their proclivity for precision. But the social empowerment comes with a price tag. Huiling expected the bakery brand to make ends meet by 2015, but it still loses around 200,000 yuan every year, in part because the company needs to hire social workers to supervise the students. 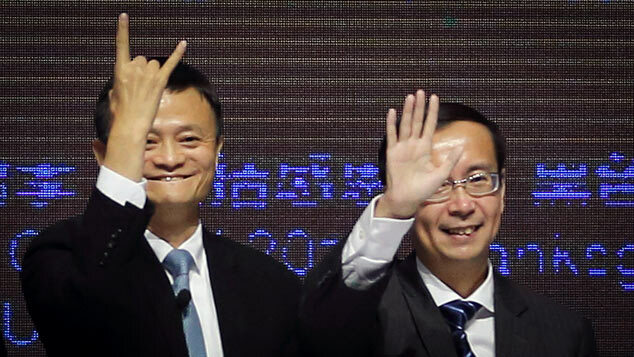 Other businesses under Huiling’s wing are also struggling to stay afloat. Shen Dongshu, CEO of Leping — a social investment foundation — thinks that NGOs depending on social enterprises for their incomes is “hardly possible” and “a daydream.” Bearing the cost of society’s needs means it’s hard to stay competitive, which companies need to be. “The essence of social enterprise is entrepreneurship,” he says. 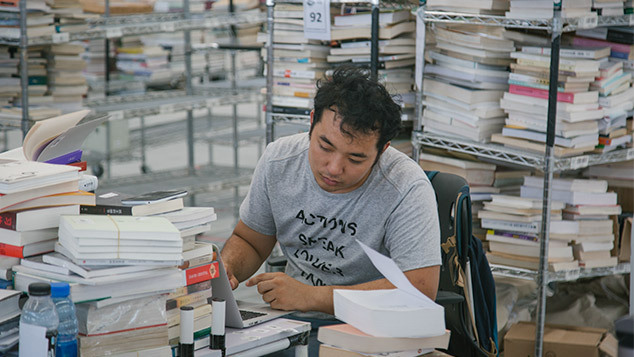 Shen gives the example of a recently closed café in Beijing — a social enterprise that used Fair Trade coffee beans, rented event space to NGOs at a discount, and in the process burned through more than a million yuan in donations over five years of operation. Judging from a business perspective, Shen believes that poor business decisions, a bad location, and poor marketing caused the café to close, rather than its social mission. Shirman hopes that Mantra can best the competition based on its background story and the social impact that each purchase can have. However, in practice it might be hard to convince customers. Hou, the boutique eyewear shop owner, says that although he would always tell customers about Mantra’s social vision as a selling point, “whether or not it’s charitable is not that important to customers; what they first see is always how they look.” Compared to the competition, he says, Mantra is slow to release new products. As the sector is still relatively young in mainland China, there are no laws in place to support it. Social enterprises are registered as regular, for-profit companies at the Ministry of Industry and Commerce, meaning they cannot enjoy tax breaks or other benefits that social enterprises enjoy in, for example, South Korea or Hong Kong. But the experience of NGOs has dampened excitement about the memorandum. 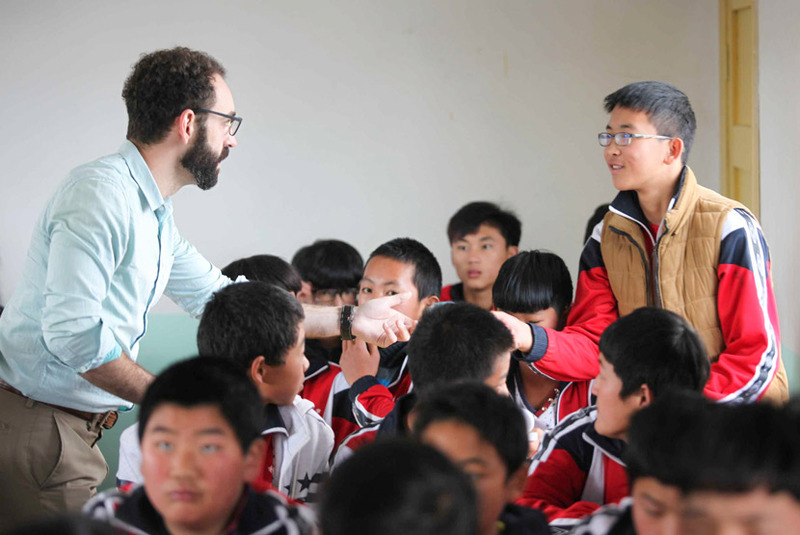 It took several decades after NGOs first appeared in China for the government’s first charity law to come into effect in 2016. 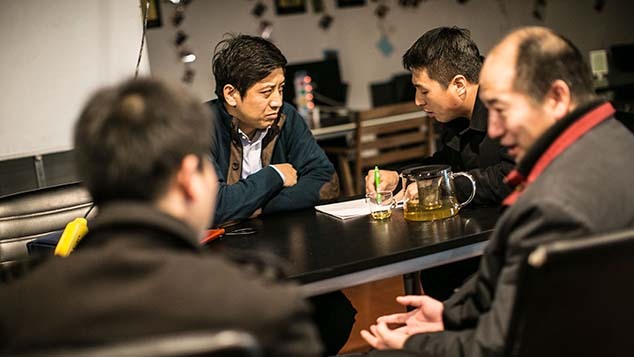 It was supposed to make it easier for the NGOs to register — a process that has previously been difficult and expensive: Huiling’s Beijing branch applied 58 times in 2011 alone, and only succeeded in 2016 after 16 years of effort. 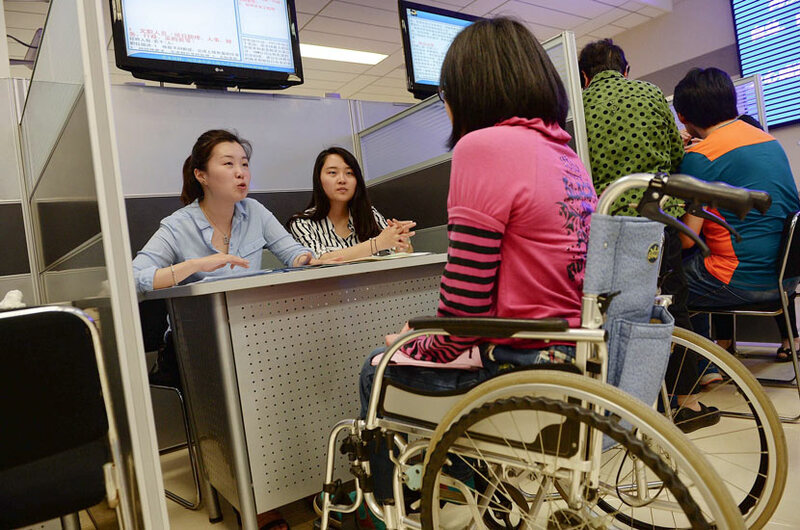 Supporting regulation necessary for an improved registration process was expected to be implemented alongside the law, according to professor Jia Xijin from from NGO Research Center of Tsinghua University in Beijing. After two years of waiting it finally appeared on Friday, when the Ministry of Civil Affairs posted a draft on its website seeking public comment. According to Jia, there are 10 times more unregistered NGOs than registered ones. And she expects regulatory changes to be slow, saying that the lawmaking process is hampered by changes in leadership and the endless back-and-forth between the parties involved. For Mantra, which is registered as a regular business, changing its legal status is not a top concern. After having given 200,000 free eye examinations and donated about 20,000 pairs of prescription glasses to date, Waldo tells Sixth Tone that the company is close to breaking even after four years. They plan to get out of the red by scaling their operations. Eventually, they hope to become as globally influential as the brand they are trying to emulate, TOMS, which so far has given 75 million pairs of shoes to people in need in over 70 countries. “We definitely need to get bigger if we’re going to make a dent in the problem,” he says.